I love themes. Themes are adventure that let you delve deeper into a subject, help you acquire more information, and become more intimate with… whatever. For me, themes are about being immersed and they are quite gratifying. 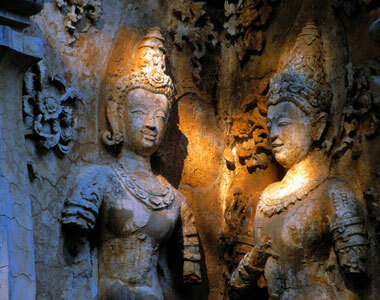 My thematic search a while back was Southeast Asia, with the focus then spiraling down on Laos and Thailand. 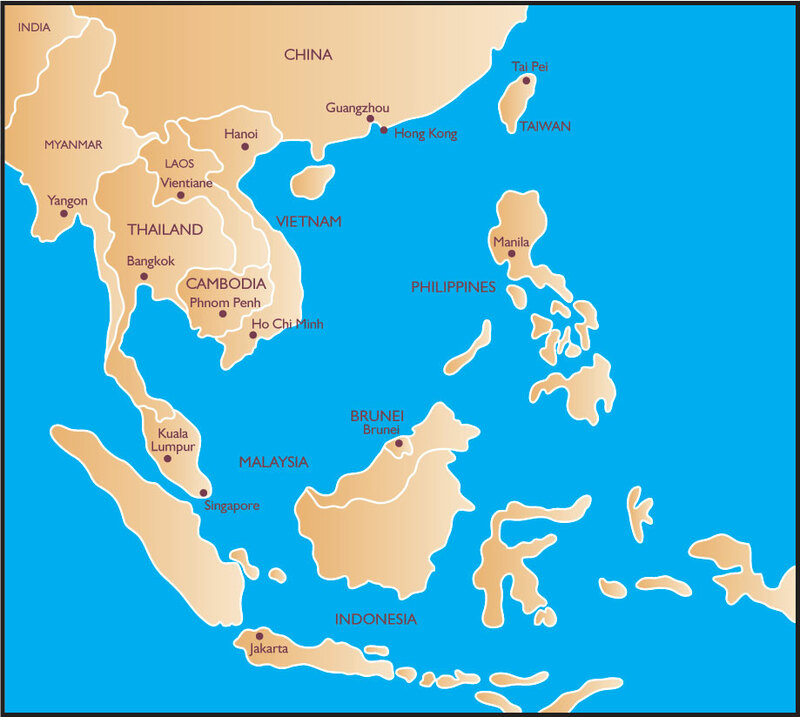 Southeast Asia is a place I have no interest in visiting, physically, but I still find it fascinating. Laos has always been at war with invaders and colonists and with itself. Yet it’s a place populated with some of the calmest and most peaceful people I’ve met anywhere. I wondered how such nice people always managed to find themselves in a battlefield, and soon came to realize the majority of the Lao didn’t really know what was going on. They were eternal victims of bullies. All they asked was to work their fields and raise their children. In the early seventies, the Royalists and the Pathet Lao signed a cease-fire and for the first time anyone could remember, the fighting stopped. People liked the idea of peace, whatever the price. So, when the communist PL took over the country in 1975, most people agreed they couldn’t do much worse than their corrupt predecessors. The new government, fresh from the caves of the northeast with backing from the powerful Vietnamese, could pretty much do what it liked. The intellectuals and administrators of the old regime had escaped to Thailand so the reds found themselves with a country to run and few ideas of how to go about it. They were scared, and fear leads to paranoia. The Coroner’s Lunch is set amid this period of political upheaval. It was a time when even the most banal activities became difficult, when you couldn’t sell a chicken without written permission. It added a new dimension to a mystery story, like a boxer going into a ring with his feet tied together. 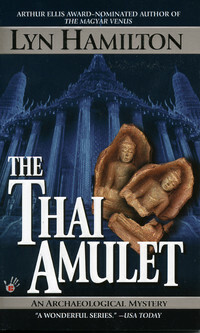 The books follow the chronology of Lao history through these times and refers to real events that I found fascinating. So here we have an author who can write about historical events with accuracy, has a great sense of humor, and writes about endearing characters. 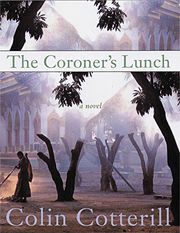 The Coroner’s Lunch is an unusual mix of mysticism, violent death, and gently satiric humor. What more could a reader ask for? The Coroner’s Lunch, was followed by Thirty-Three Teeth, Disco for the Departed, and Anarchy and Old Dogs. The Curse of the Pogo Stick is his newest release, and I am anxiously awaiting its arrival at my library. Cotterill has an entertaining website definitely worth a visit. You will see he is also a cartoonist. There is a nice little biography here. He is a pretty interesting chap, trying to make a difference in the world. Detective Sonchai Jitplecheep, the son of a GI and a Thai bar girl and an honest Bangkok cop, investigates the murder of a charismatic African-American Marine sergeant, killed by a python and a swarm of cobras in a locked car. At the same time, Sonchair must investigate the subsequent death of his partner, making his way through a world of illicit drugs, prostitution, and corruption, to find a vicious killer. 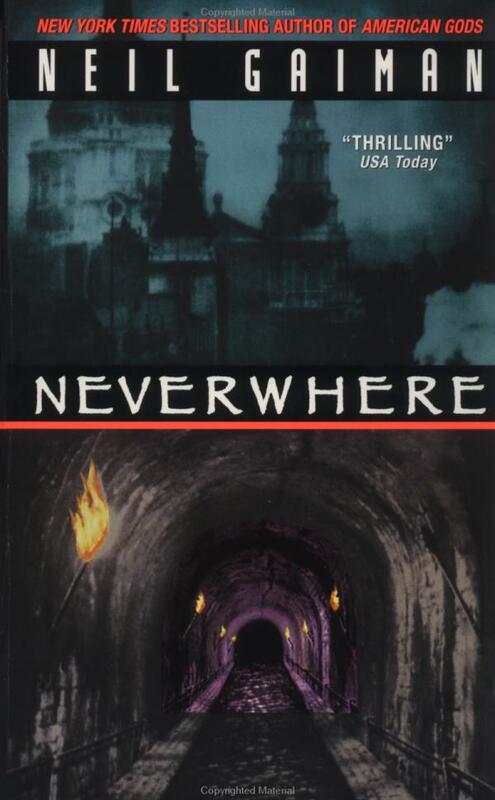 This book is followed by Bangkok Tattoo and Bangkok Haunts. Bangkok Haunts was a little bit difficult for me to read, but it is a great series, nonetheless. Mathews takes us deep into the baffling history of a maverick American’s glittering life and his sudden, cataclysmic disappearance. Propelling us masterfully through half a century, from Manhattan to the Alps to the colorful and treacherous heart of Bangkok, and based on the life of American expatriate Jim Thompson, The Secret Agent is at once a murder mystery, a touching love story, and a lavishly atmospheric journey through the exotic landscape of love and history–an historical thriller of the first rank. This was a good book. 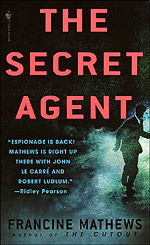 Mathews has a number of espionage novels to her credit; I plan to read more of her work soon. 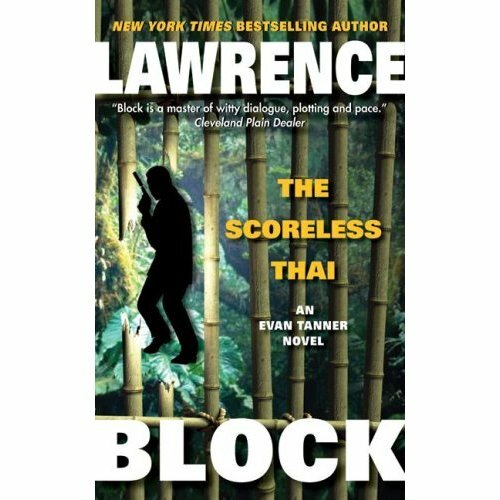 Tanner is in Thailand with a partially baked plan and a butterfly net, hoping to snare a beautiful missing chanteuse who’s metamorphosed into an international jewel thief. Tanner hopes everyone will buy his disguise as a rare butterfly researcher. And everyone does . . . except the guerilla band holding him captive. Bangkok, a city of contradictions, where the heady scents of jasmine and frangipane hang in the stifling heat and golden-spired palaces overlook seedy strip clubs. Yet it never fails to inspire Lara’s spirit of adventure, which is why she has agreed to search for a missing antiques dealer while on vacation. Armed with only a fifty-year-old newspaper clipping about a murder and broken terracotta amulets, she heads to his last known address. This was good, light, reading. On the heavier, more horror-driven side, is a Thai movie with English subtitles, The Victim. It sounds like a very strange movie, but I was really creeped out by the poster, so I just had to show it here. The Victim is another run-of-the-mill film churned out by the juggernaut that is the Asian horror genre. Unlike most of second-rate movies cut from the same cloth, “Victim” has an extremely interesting premise, one that doesn´t involve an everyday, ordinary object being haunted by a ghostly girl with long, black hair. At least, not initially. Apparently, in Thailand, the Royal Police Force stage re-enactments of crimes in front of the public and the press. They return to the scene of the crime with an actor portraying the victim and the actual criminal handcuffed and in tow. The police tell the criminal to give them a detailed, blow-by-blow account of his deeds. Crowds gather around to watch as reporters snap photos for the front page of their newspapers. Is that a scary picture or what? I won’t post the rest of the review because it will give away too much. If you like unusual, scary, movies, you might like this. Aren’t the Thai words on the poster beautiful? 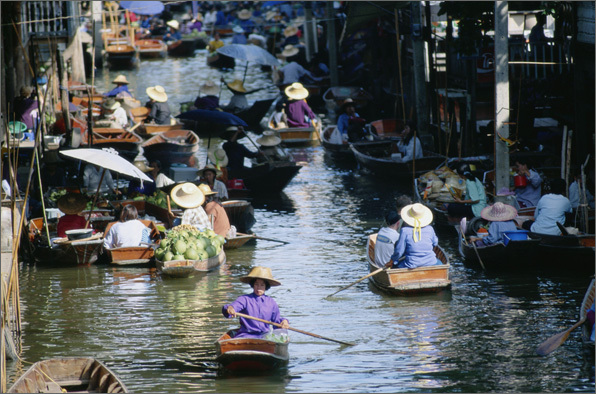 To end on a high note, Thailand is an exotic, lovely place. 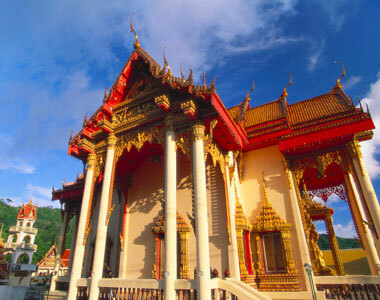 Well, maybe I would want to visit there…..
And here is a blog, Charlie’s Travels, with beautiful photos of Southeast Asia. Check it out. Thanks for reminding me that if I themed my reading I might get more done than through my current – “grab it all and be random about selection – method. . .
And thanks for the tips on great mysteries; I’m always looking for those. 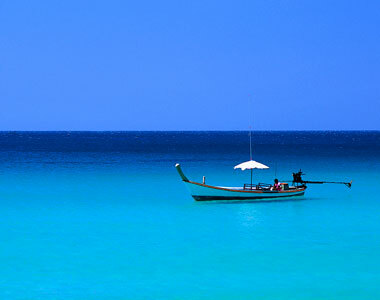 Finally, thanks, too, for the gorgeous photos of Thailand. 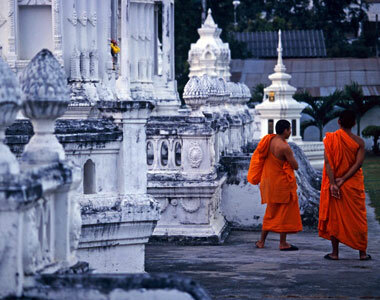 There and Tibet – and maybe Cambodia – the places I’d like to visit in Southeast Asia. Thanks for checking in, Andi. Of course, I don’t always “theme read” but it is fun. Mysteries are my favorite escape lit. Yes, those photos were gorgeous. Makes me want to hop on a plane! I am actually hopping on a plane to Ireland in June, so hopefully I will have some of my own beautiful photos to blog about. I read your SE Asian junket post early this morning, but wanted to wait to comment until I had a little more time. My, it’s quite the mystery tour. 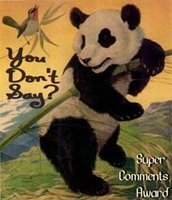 I’m impressed by the scope of your themed reading and the detailed commentary. I occasionally read mysteries and enjoy them very much. But I’ve never read ANY from SE Asia I’m very sorry to say. If you were to recommend just one to try out, would it be the Colin Cotterill? Have you been to Ireland before? I was there a couple of years ago and I loved everything about it; and the Irish people as a whole are simply tremendous. Wait…did you say you owned an Irish pub? you probably already know all that then. Anyway, I hope to go back sometime. In fact, if someone told me I could only take one more trip in my life, that’s where I’d go…probably to the west coast, maybe Galway Bay; and I’d read Yeats and eat as many fresh mussels and oysters as I could stuff in. I will look forward to your photos! Hi TJ, thanks for commenting. Most definitely, I would recommend Colin Cotterill. On a scale of 1 to 5 he gets a 6. 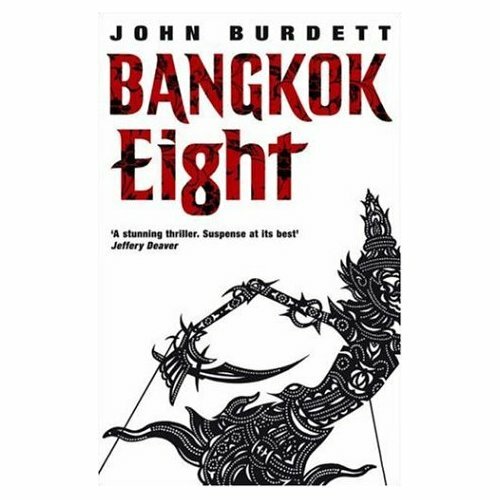 John Burdett is also excellent… how about you read two mysteries!? They are both so foreign, but also so familiar. I have been to Ireland; this time I am accompanied by two of my children. My son graduates this May, so it is a gift to me… I mean him. A few days in Dublin and a few days in Galway, driving out on day trips. No Yeats, mussels, or oysters for me. A nice cup of tea, a wee scone, and “Death of an Irish Tinker” by Bartholomew Gill will do. First, thank you for your generous compliment at the blue bicycle. A rare treat. And I am intrigued and fascinated by your self-portraits. ps. i hope you will share the meaning of qugrainne with me …. Oh my. After an arduous day, to come home and have my heart soothed by such kind words. Thank you very much, TJ and Lady Blue. Your sites are extremely different, and each is a delight for me! Qugrainne comes from Gráinne Ní Mháille, Irish pirate queen of the 16th Century, for whom I have great respect. Involved in the business of sailing ships and trade (and a bit of pirating on the side), she was a notorius and unusual woman for her time. The English translation of her name is Grace O’Malley. Thus our link is two-fold, for my search for grace is unceasing.